What you see above you are Apple’s AirPods, their attempt at creating wireless earbuds that actually work. This may be the closest you ever come to them. Even if you have an iPhone (they don’t work on any other phone) they’re still hard to get, out of stock almost anywhere almost all of the time. They’re not out of stock because the demand is so great; more likely Apple is making them in very low numbers and throwing away a lot of them that don’t work. It turns out that good quality sound from wireless earbuds is a lot harder than most people think. Here’s why. Batteries are big and heavy. Big sound needs a big battery, and while that’s ok for over-the-ear headphones, if you want earbuds you want them to be small and light. That means advanced battery technologies, the latest in power-saving chips and super-sensitive materials. These are all leading-edge parts and putting them together turns out to be a pretty complex thing. It’s not just Apple… other makers of wireless earbuds struggle too. People’s ears are all shaped differently. This is a big issue. You don’t want those $200 earbuds to fall down a sewer grate. If they were connected to your phone you might just have a chance, but completely wireless? If they’re light enough to feel comfortable they’re light enough to fall out without you knowing it. That’s been a big problem so far with all wireless earbuds. The solution would be to have custom-molded earpieces like they have for hearing aids, but that would be even more expensive. They have to sound great. If you’re plopping down a couple of bills for headphones, you want the sound to be worth it. Motorola showed a Bluetooth headset back in 2006 that went all the way into the ear and didn’t protrude, but it sounded like a phone headset. You are absolutely going to want these to sound better than your garden-variety $5 earbuds. Again, this is much harder than you would think. Wireless earbuds can’t be much bigger than those dollar-store headphones and they need to have a lot more stuff in them. They need a microphone so you can answer calls (seriously, who listens to music anywhere but on a phone? ), they need a battery and a wireless radio. That doesn’t leave a lot of room for quality sound production. 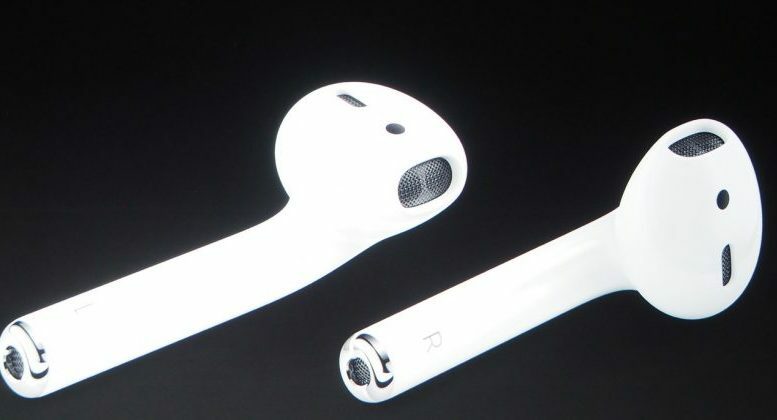 And yet, Apple’s AirPods are barely larger than their wired headphones, with just a little cylinder that sticks out from the main body. How do they do it? Even more expensive electronics to tailor the sound experience. When it comes down to it, your ear’s not a very nice place. When you really think about it, the idea of wireless earbuds has almost everything going against it — high cost, low battery life, advanced electronics, sensitive materials and high manufacturing tolerances, all designed for something that goes in one of the admittedly less gross holes you have in your body (but still a gross one.) That’s why it’s so hard to make good ones, especially at a price people are willing to pay.